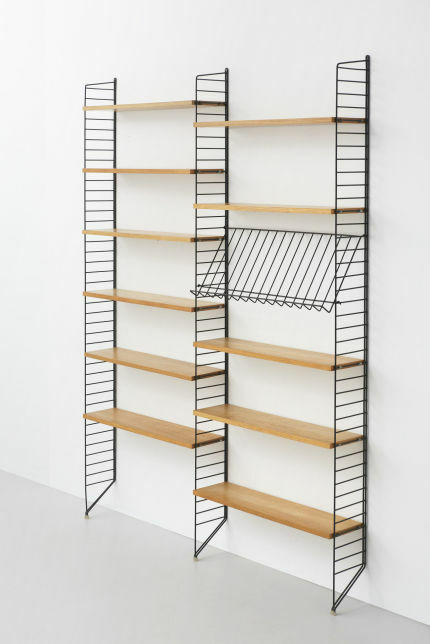 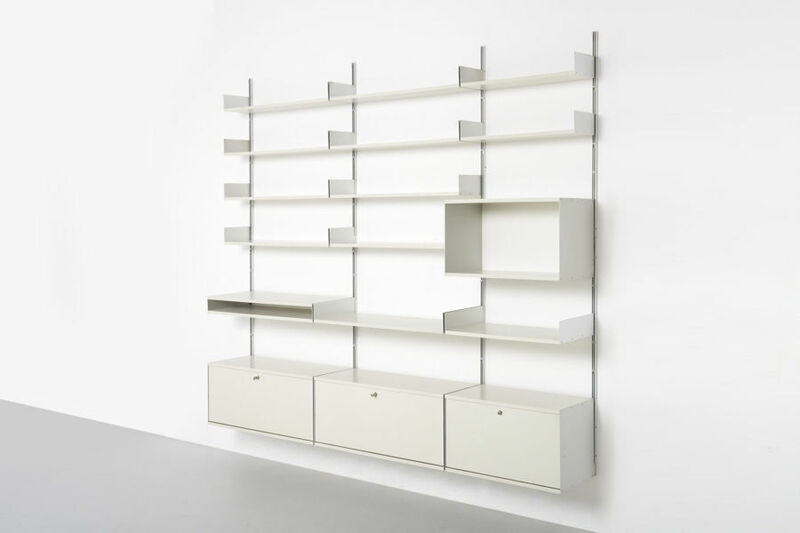 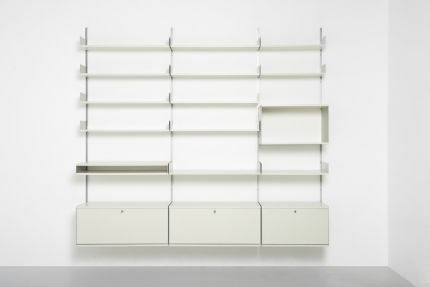 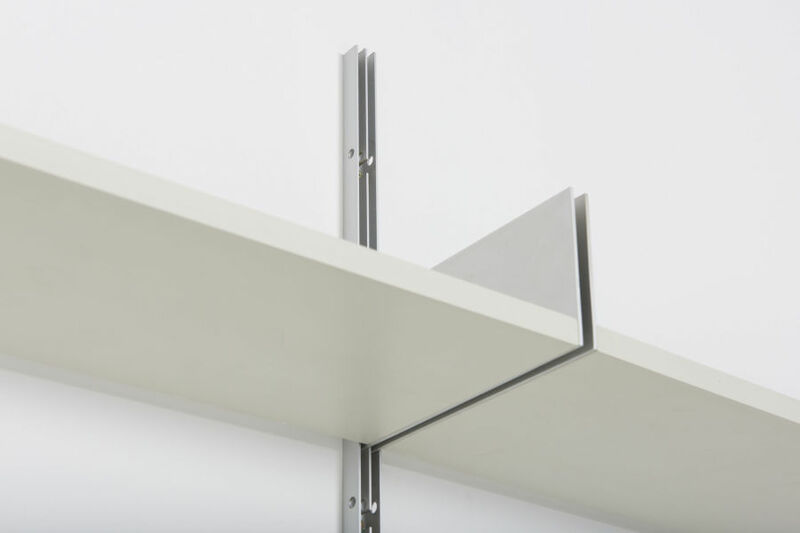 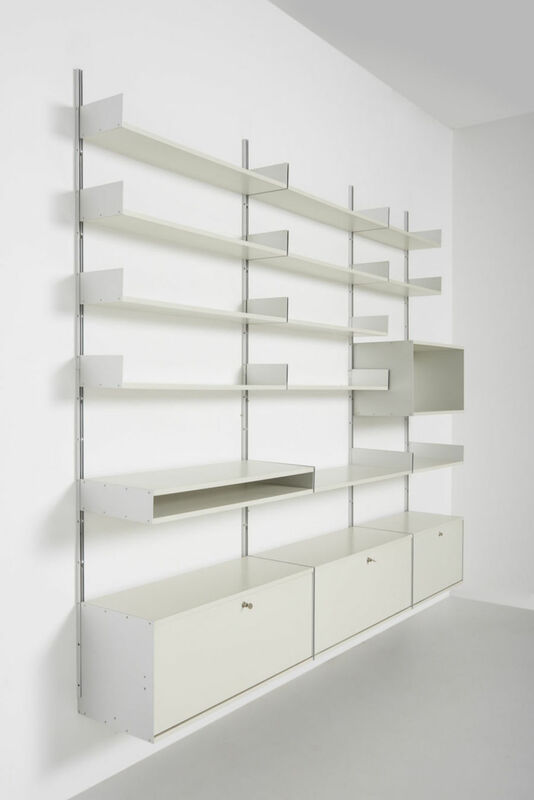 A large wall system made by Vitsoe in Germany. 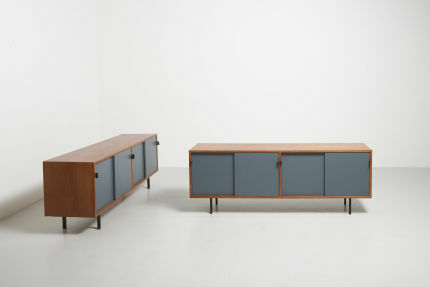 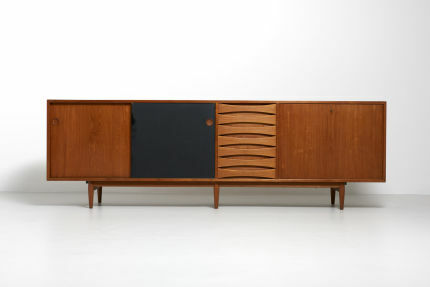 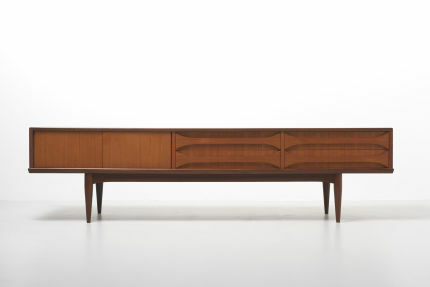 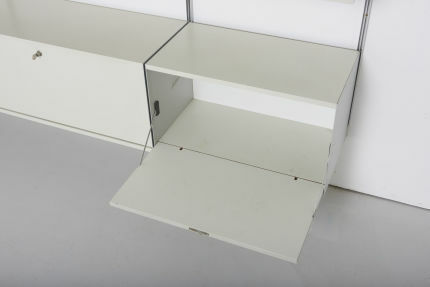 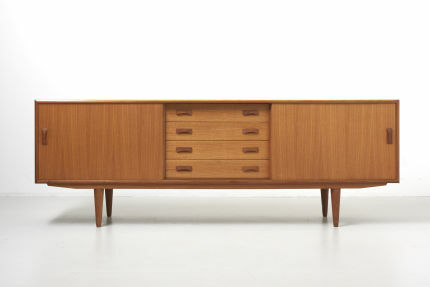 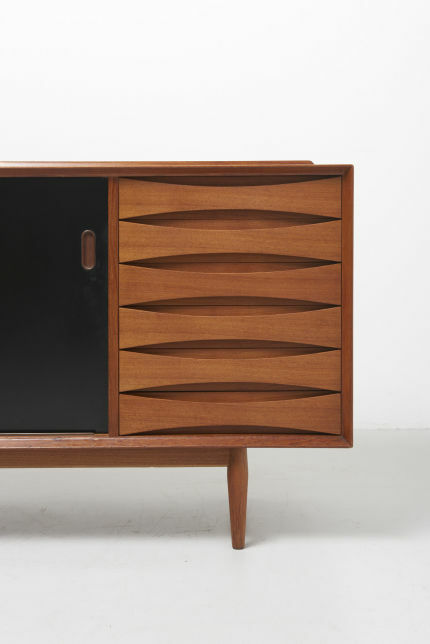 Design by Dieter Rams in 1960. 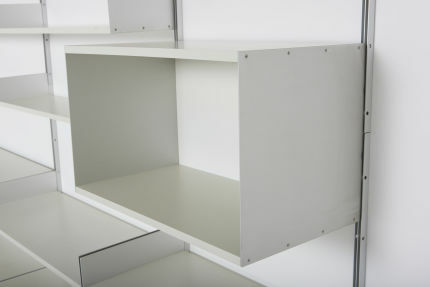 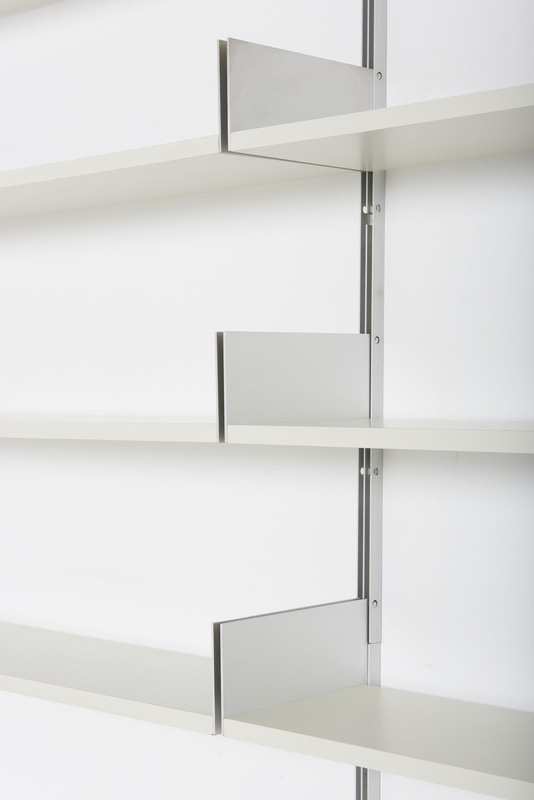 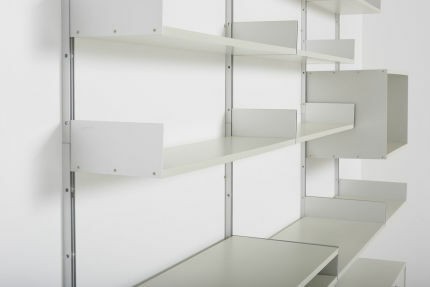 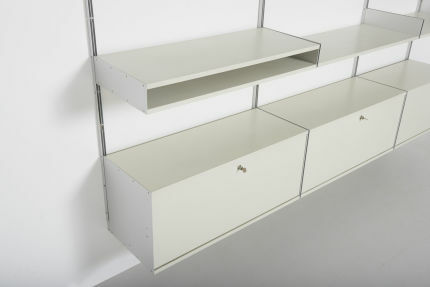 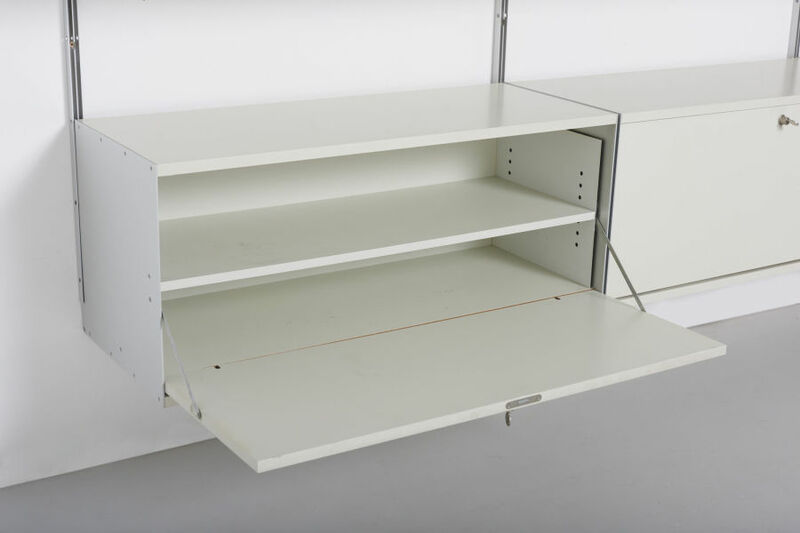 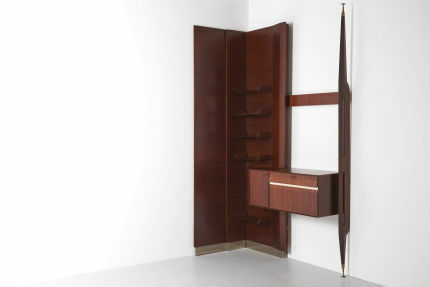 This model 606 shelving system comprises 3 cabinets with lock, an open upper cabinet, 3 deep shelves and 10 standard shelves.